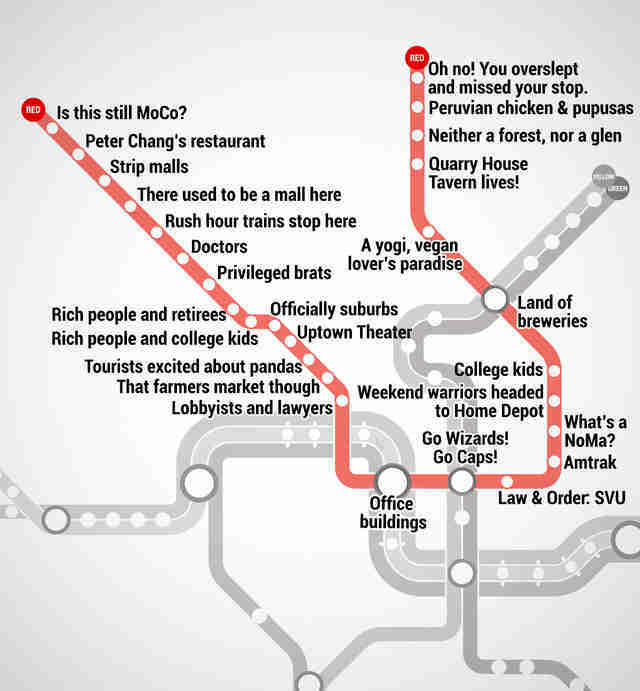 If you are a regular reader of TBTP, you are well aware of my obsession with public transit maps. 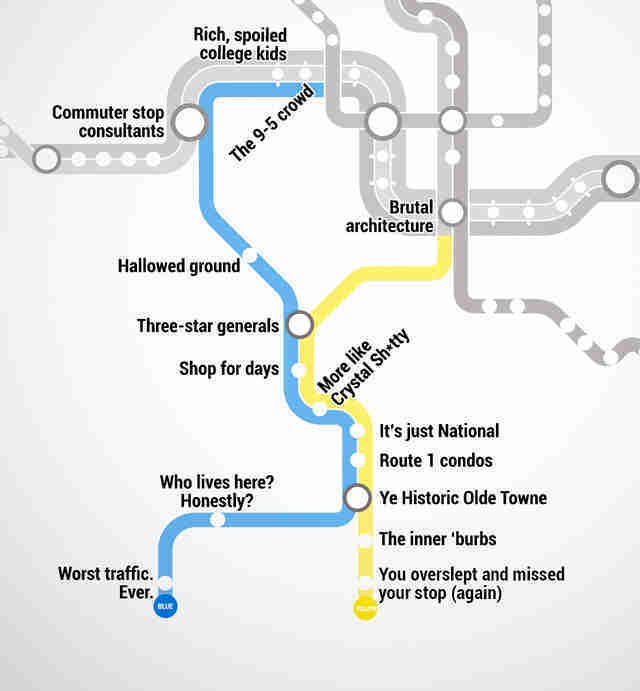 This one is actually amusing and useful. 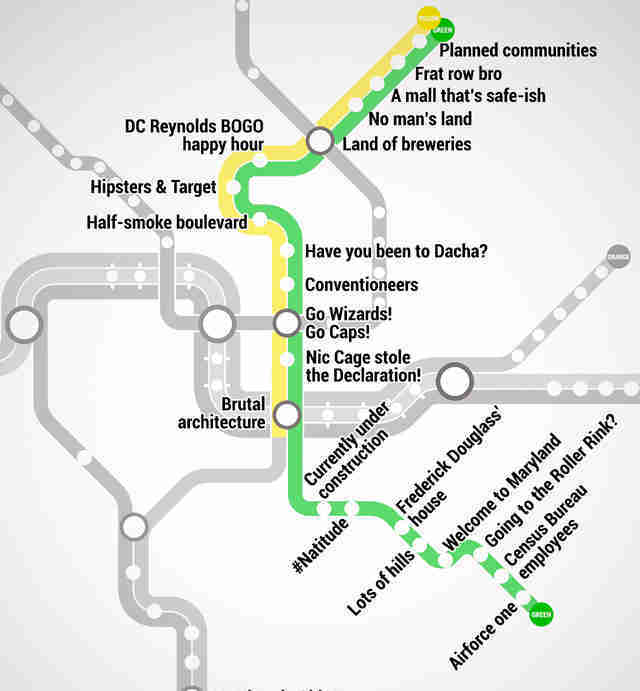 The folks at the Thrillist Washington D.C. website have augmented the city’s already excellent Metro map to make it even more user friendly. 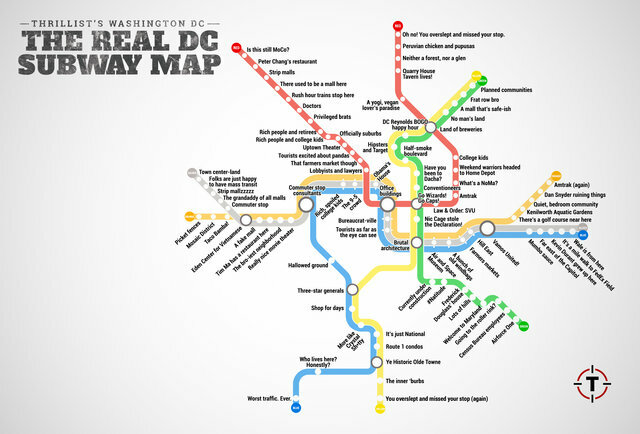 As a frequent visitor to DC, and the author of a travel book on the nation’s capital, I can attest that the map upgrade is spot on. This entry was posted in Maps, Public Transport, Tourism, USA and tagged Metro, public transit, Washington D.C. Bookmark the permalink.